Monument Tools' mission is, and always has been, to manufacture and supply professional quality plumbing tools and equipment. Monument Tools has an unrivalled expertise in developing innovative tooling solutions for the plumbing, heating, roofing, gas, pipe testing and drainage industry. It was 1880, when George Collier first commenced trading as a tool dealer in Brixton, London. His trade was taken up by his sons and successive generations that have focussed their business on shops that were opened in South London. In 1908 the Monument brand name was first registered. 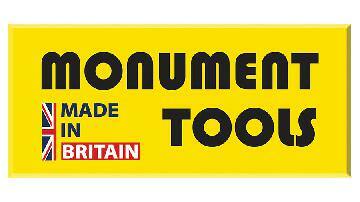 In 1969 the company moved to larger premises in Balham and in 1976 assumed the name Monument Tools Ltd. In 1996 operations moved to a new factory in Wallington, Surrey where the company is still based. Today it is owned and run by the fifth generation of the Collier family. Monument Tools continues to invest in improved machinery, materials and manufacturing techniques for both current and new products. Our Managing Director, John Collier, is one of the foremost authorities within the industry and Monument Tools is the frequent recipient of new product awards. Producing leading designs such as the Monument Tools pipe cutters ensures that we are always at the leading edge of our industry. Our business partners have come to expect the very best in quality which deliver a good margin with very low product returns. Our primary market has always been the professional tradesmen who need a dependable, superior standard tool which will last for many years. Monument Tools has an extensive collection of antique and ra re hand tools. We are always interested in comparing notes with fellow collectors and enthusiasts . When first going into the plumbing industry I was always swayed towards rothenberg and not knowing any different any different used them until I was invited to the first monument master group I got to see and use there tools a wow I was amazed at the quality of their tooling they improve where other have failed or over looked, when ever I buy any tools I need for my plumbing I always buy monument and try my best to sway other the same. Very reasonable price tools. Massive range of really handy tools which make awkward jobs easier. I found the quality to be first class and the tools to be long lasting. Good quality innovative products which are great value for money also British made which is something of a rarity these days. Been using monument tools for over 20 years now and are the best hand tools on the market, British made and made to last.#askformonument. Brilliant tools. Made to last and made well. They make the best olive splitters aswell. Nice to see that there a british company. Great tools, well built, good value for money, and British made. 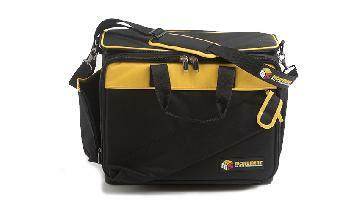 Have a good choice as well, Ive used their tools for over 10 years, what more can i say ? Monument is always my first port of call when buying new tools. Price, range and customer service is second to none. The only company that truly care about their products and the trades that use them. This company really do go above and beyond in every aspect. Customer service is brilliant, who h cannot be said for most big manufacturing companies. The team actually listen to us the end users & actually act on the feedback they have been given whether it be good or bad. They actually encourage the bad feedback too so they know where and how to improve. Would recommend any of their tools out of the extensive range they do as they are superb value for money that also last due to the high build quality. A real pleasere dealing with this brand. Its amazing to see a brand so proud of there history and still so happy to be making tools in the U.K. If you ever have a problem its easly sorted with no fuss unlike there competitors. Really like monument and their tool range. They seem to have come up with a solution for everything. I moved away from monument for a bit and tried other brands but I've reverted back to using them because I found there to be much more value for my money, their customer service is excellent as well! Keep up the good work monument! Any chance of bringing out a Trade Pro range? Current range although good does not quite hit the mark. Also could you team up with a Power tool manufacturer and bring a range that is top quality? How long does it take from product idea to being on the shelf? We are putting together an e-book with top tips on becoming a successful plumber / heating engineer. We would love members of Expert Trades to be featured. What is the best piece of advice you would give to someone just starting out in the trade? Read james dewane book marketing for sparks. Customers just want an engineer to turn up when they say they will. It sounds really easy but the day to day running of your business can easily get in the way. Make sure you dedicate enough time to each job so that you dont over run and potentially miss other customers timeslots! Turn up on time, respect peoples homes,dont put your tools on beds and sofas, no matter how clean your new bag is.Be prepared for previous work carried not to be up to standard, so allow extra time.Take your time, it's actually quicker.make sure you have the means to soak up water,not the customers bath towels.If you price up fairly the customer will often inquire about another job often before you are finished.keep enough consumerables on board, nothing worse than searching for a buried last fitting.Inform your customer what you are doing, but be polite, nobody likes a smart arse.Buy decent tools if you value your hands, buy decent led torches and carry spare batteries.I also use led work lamps.wear gloves or clean your hand thoroughly skin care can be underated, you can end uo with hands as rough as old boots and or skin conditions. Do it properly from the start!! Get independent business advice, a proper business plan and a good accountant. Learn the basics to marketing a company and remember your customers are the important people on the planet, do what it takes to put a smile on their face. Rember it takes 1 good job to create 20 leads on future jobs via word of mouth and reccomendations. And it takes 1 bad job to loose 50 leads on future jobs!! Always give yourself a few moments to stop and catch your breath . Sometimes we look past the solution as we are stressing or worrying . Take a two min break then go back . Take your time don’t rush. It’s a marathon not a sprint. Personally I will only by monument benders I have tried other brands only to find they break. My current one has been with me for 6 years and it's still sets pipework perfectly.